Car maintenance and car safety go hand in hand. It keeps your vehicle running when you need it. If you don't do regular maintenance on the parts of your vehicle that keep it running, you may find yourself stranded on the road, or worse, breaking down in the middle of a busy highway. Your safety while driving will be greatly impaired. Read your owners manual to know how to maintain your vehicle. You might be surprised at how much good information you learn about your vehicle. Also knowing at least a few basics about what is under the hood of your vehicle can prevent you from being ripped off by a dishonest mechanic. 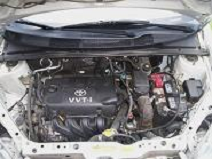 Most under the hood maintenance of your vehicle will be done by your trusted mechanic. But there are certain things you can and should do yourself to keep your car running well with no problems and ensure car safety on the road. The two most critical areas under the hood for vehicle maintenance are the engine oil and the coolant or radiator fluid. If your car runs low on either of these, it will do a lot of severe, expensive damage very quickly. The other fluid levels are important also, but there are usually more issues with the oil and coolant more frequently than say the brake fluid and transmission fluid. Maintaining your vehicles fluid levels and other engine parts is an important habit in safety on the road. Keeping you tires maintained is also critical for safe driving. You can't always tell if your tires have enough air by looking at them. over inflated or under inflated tires can cause a blowout. Check the tire pressure at least at the beginning of each season for a change in tire pressure. Some experts say to check your tire pressure weekly. Watch for leaks around your vehicle as you approach it before you drive. Green or red fluid on the ground is likely coolant, possibly power steering of transmission fluid. Black fluid is likely engine oil. Water under your vehicle especially on a warm day is normal condensation from the AC unit. Keeping the exterior of your car clean will keep it looking nice and will also save the paint job. Dirt and debris left on your vehicle can scratch and eat away the finish. Too much dirt on your vehicle can also affect the drag and therefore the gas mileage as you drive. Have your vehicle cleaned about once a week.